Rashid Johnson was born in 1977 in Chicago. He studied at Columbia College and then the School of the Art Institute, Chicago and now lives and works in New York. He began his artistic career as a photographer, but he now works across media, including video, sculpture, painting, and installation. 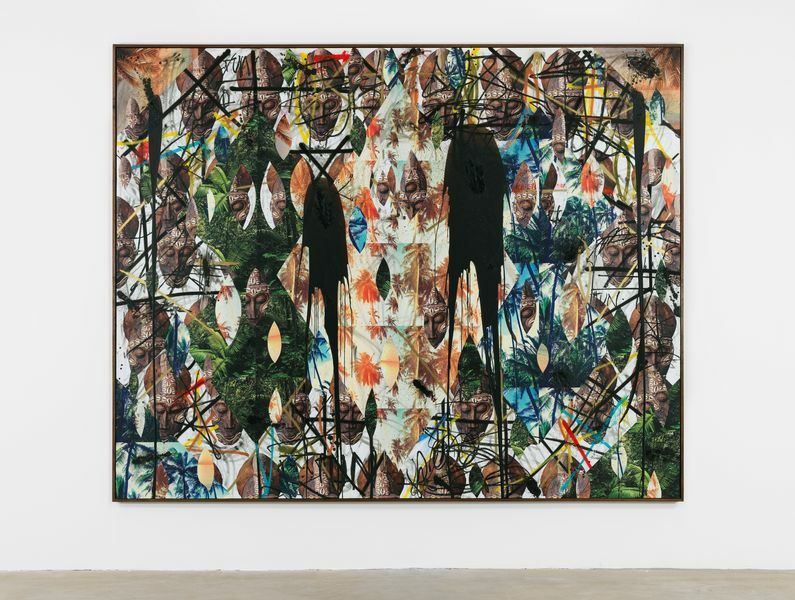 Johnson is best known for his painting, film, sculpture and photography, using a wide range of materials and appropriated objects to explore themes of art history, literature, philosophy, and personal and cultural identity. What does his exhibition look like? 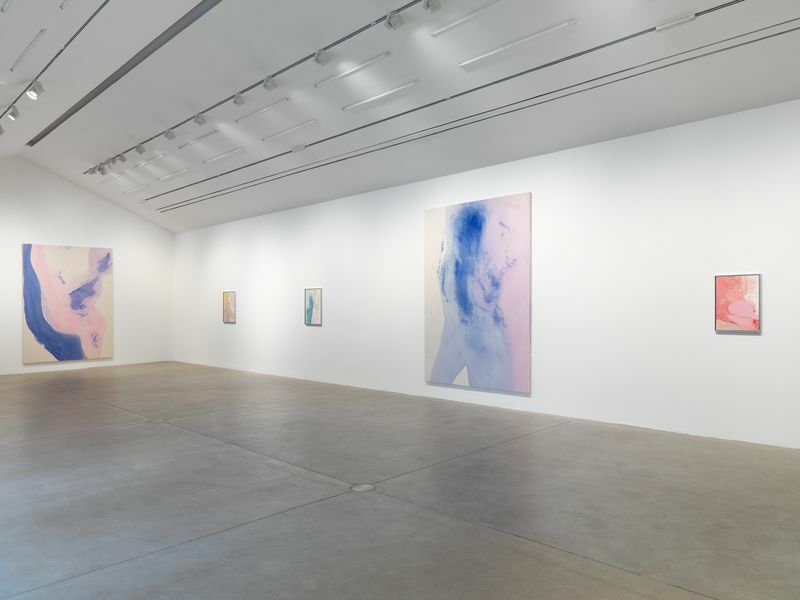 The exhibition at Hauser & Wirth Somerset unfolds through all five gallery spaces, with a combination of painting, sculpture, installation and drawing, all of which was inspired by, and created during his residency. A large-scale installation, in the Threshing Barn, is a development from recent architectural grid works, most notably ‘Antoine’s Organ’, which was shown as part of the artist’s exhibition ‘Fly Away’ at Hauser & Wirth New York, 18th Street in 2016. The work comprised an empty lattice of bare black scaffolding filled with a variety of signifying objects, including books, video screens, mounds of shea butter, live plants and an upright piano that was played by pianist and producer Antoine Baldwin at dedicated times during the exhibition. 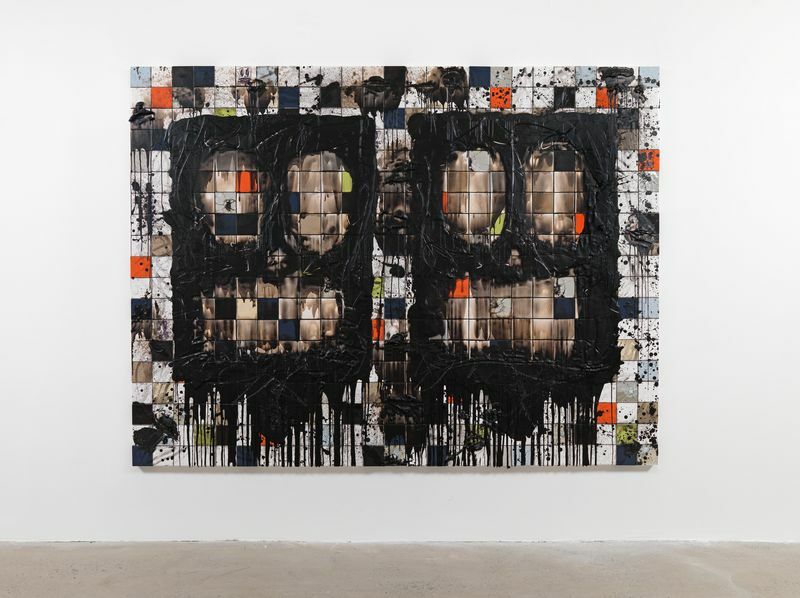 Rashid Johnson is concerned with the artistic practices of conceptualism and abstraction as well as the history of painting. His influences include literary figures such as novelists Ralph Ellison, Zora Neale Hurston, James Baldwin and Richard Wright as well as artists such as Norman Lewis, Sam Gilliam, Alma Thomas, Cy Twombly and Marcel Broodthaers. He responds to such influences freely, by making art that poses questions, makes jokes, and suggests alternative perspectives. He is inspired by the history of the everyday objects that surround us as well; he notices materials, objects and spaces and is interested in the relationships between them. What does his work look like? 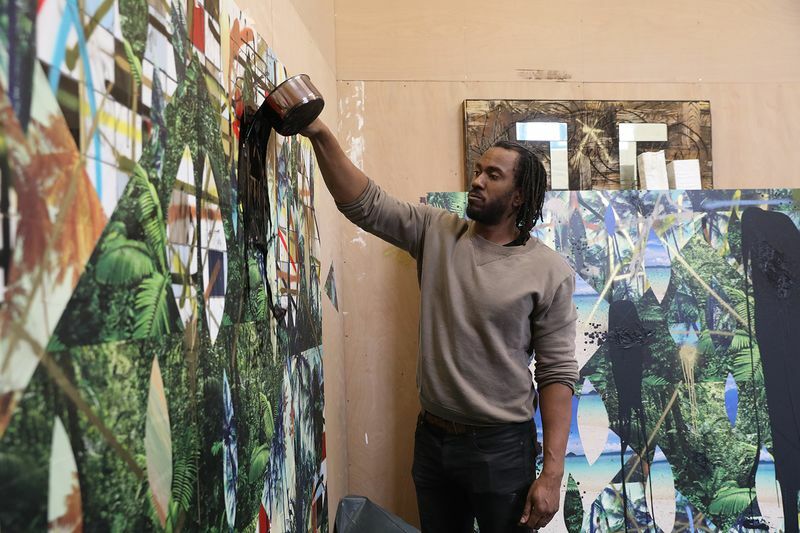 Rashid Johnson makes artwork from his personal experiences, thinking about the inspiring possibilities of art as a creative language, especially in relation to the individual imagination. 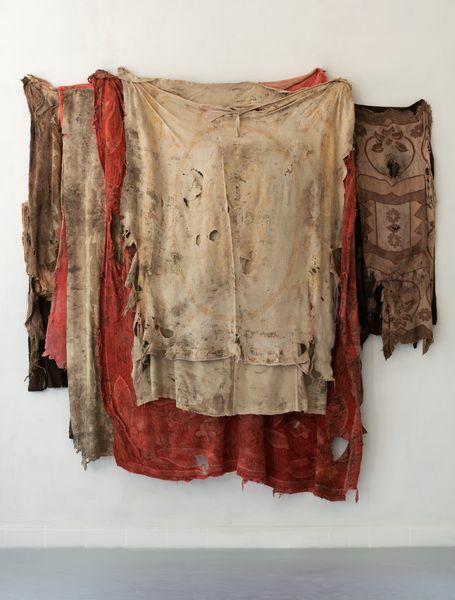 Johnson’s installations frequently include shea butter and black soap, materials that were present throughout his childhood and that carry a particular significance within Afrocentric communities. He trained as a photographer, and often he searches for existing images or motifs that are repeated, collaged and drawn or painted onto. Some of the works in this exhibition use a repeated almond shape, both shown by cut-outs of African masks, cut-outs from his own drawings and of photographic images, this shape, known as a mandorla is a recognisable shape in art history, especially from religious painting. What are his main themes? A key theme of Johnson’s work is identity. He is interested in the ability to locate yourself in class and race and gender and sexuality, and then, having located yourself in all of those spaces, figuring out an identity that is very much your own, as opposed to taking on the agenda of a shared or even an imposed identity. The work is based in a Du Boise-inspired Multiple Consciousness. According to the artist: ‘I’ve always had a difficult time recognizing myself in historical narratives although I grew up with them as a backdrop to my childhood because my mother was a historian. Now I’ve begun to pick and choose which parts I find useful and in many cases I create my own’. The work in this exhibition titled ‘Stranger’ is concerned with themes of escape and of being an outsider. As a child Johnson would be intrigued by the range of books on his mother’s bookshelves, from philosophy to fiction, whereas his father was a CB radio enthusiast and kept all sorts of objects and read autobiographies. Rashid Johnson does not see his work as autobiographical, but clearly recognises the significance of these early experiences. How does he make his work? Johnson began working in photography, but he also works in painting, video and sculpture. He is known for both his unusual artistic productions and for his process. In addition he is also known for combining various ideas to do with science with black history. Rashid Johnson often uses his materials in multiples, as a mark-making tool — where an object will potentially be repeated 15, 20, 35 times, so it becomes about line, about Minimalism, as well as about how information is delivered and what multiplicity begins to suggest. A lot of the materials are chosen based on that interplay of concerns. Does he work in any other ways? A key element, as shown in this exhibition is the artist’s approach to display; it is like he is using the gallery spaces to develop a place to house his belongings. Rashid Johnson likes to collect things, and they represent a mixture of language and cultures, from a rap album next to W.E.B. DuBois’s ‘Souls of Black Folks’. 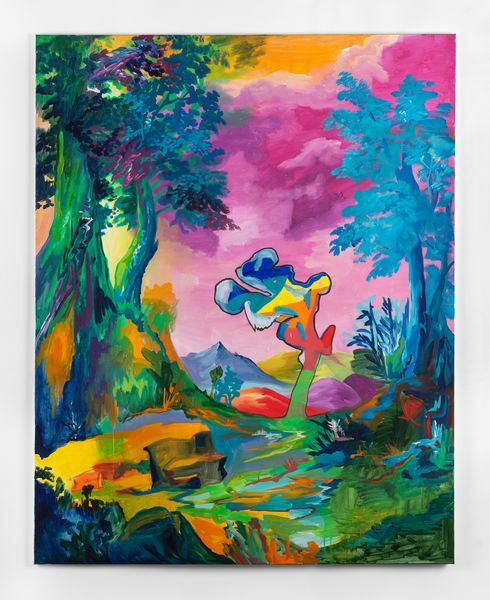 As his work is concerned with his own identify and position in culture, his work is concerned with the here and now, in this sense, and in order to stay in the present (to represent a nowness) Johnson’s work continues to evolve and adopt new approaches. How does he title his work? The title of the exhibition comes from an essay ‘Stranger in the Village’ by James Baldwin. Originally published in Harper’s magazine in 1953, it is the account of Baldwin’s experiences as a young African – American man, living in a small village in Switzerland. 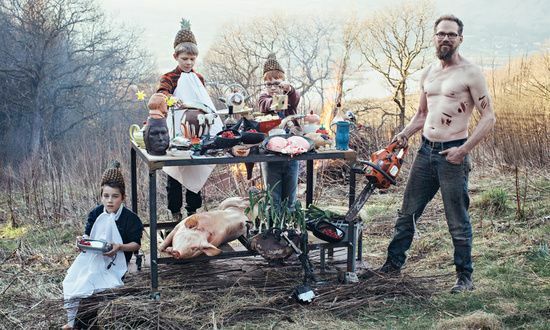 Hauser & Wirth Somerset has run an active artist’s residency programme since it launched in July 2014. Artists are invited to spend an extended period of time in Bruton, based at the Maltings Studio space, a converted historic building located in the centre of the town. Artists in residence contribute to a continuous creative hub, producing artworks, projects, community events and educational workshops. Previous artists-in-residence include Pipilotti Rist, Guillermo Kuitca, Mark Wallinger and Martin Creed among others. 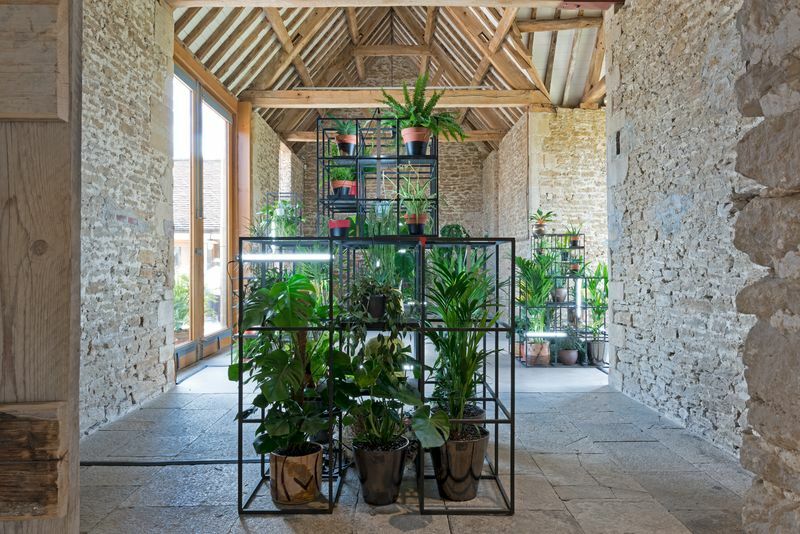 Rashid Johnson was artist in residence with Hauser & Wirth Somerset for the two months before this exhibition and made all the works on show during his residency. A focus on African or black-culture, a movement whose main concern is to do with African American identity. Ralph Ellison, Zora Neale Hurston, and Richard Wright, were all authors influential mid-20th century African-American writers. Used to describe both the technique and the resulting work of art in which pieces of paper, photographs, fabric and other ephemera are arranged and stuck down to a supporting surface. 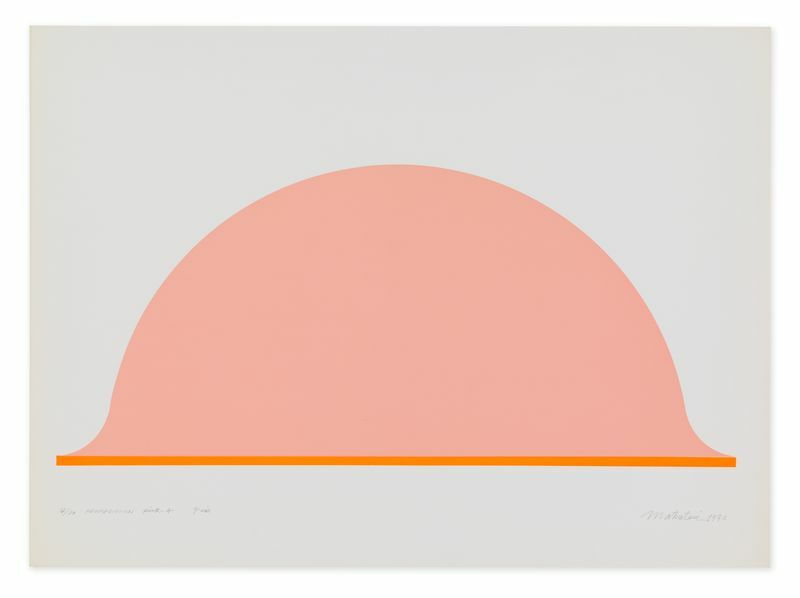 Conceptual art is a movement developed in the 1960s that was concerned with the idea or concept of the artwork more than the aesthetic appearance of it (what it looks like or how it is made). The movement of people or communities from their original homeland to set up a new population somewhere else. The key events or situations that have shaped human existence, such as birth, conflict or mortality. Mixed-media constructions or assemblages usually designed for a specific place and for a temporary period of time. An almond shape (mandorla is Italian for almond), often found in art history; it surrounds the figures of Christ and the Virgin Mary in Christian art. A focus on the physical qualities or state of the material as integral to the art. Three-dimensional art made by one of four basic processes: carving, modeling, casting, constructing. Collect five things that represent you, for example, an empty tube of toothpaste, the packaging from your favourite food, your favourite storybook, toy or a photograph of your family. Tell you class why you have chosen the items that you have selected. Use collage to develop a self-portrait made up of photographs and object that represent who you re. It would be images of places that you go on holiday, your favourite food or music band or book etc. You could include 3D objects too. How does the exhibition help you define the difference between sculpture and installation? What is more valuable, the process or the product? Is collage a 2D or 3D process? How can you use objects to demonstrate your history, community and social experience? Discuss with examples, e.g. your clothes or trainers, the car your parents drive etc.